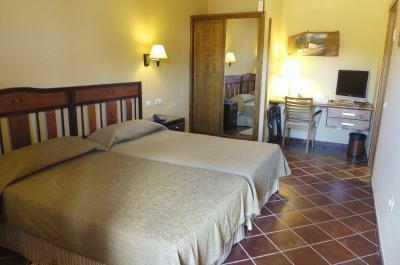 Lock in a great price for Hotel Rural Fonda de la Tea – rated 9 by recent guests! 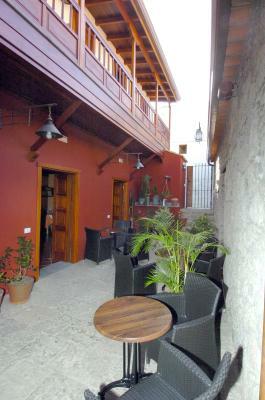 The hotel is situated in a small village in the middle of the island. We travelled there by local bus which was easy and reasonably priced. 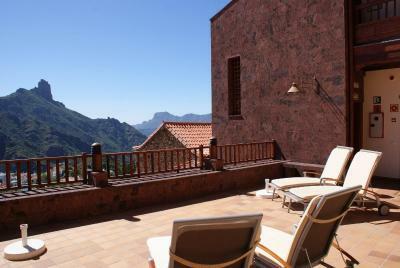 It is surrounded by mountains and has a sun terrace facing them with fantastic views. Many people use the hotel as a base to walk and cycle. We just sat in the sun on the terrace enjoying the view and sun. There are a number of restaurants/ bars nearby. Our bedroom and bathroom were good sizes. The breakfast was very good, with boiled eggs, fruit and freshly made coffee. Good location for hiking in the mountains. 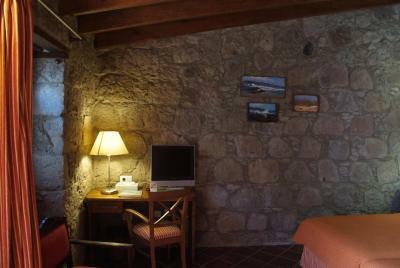 Nice room with panoramic view. 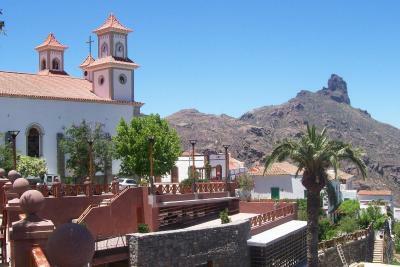 In a delightful village high in the mountains of Gran Canaria. Welcoming very comfortable hotel.with tremendous views. Very conveniently located with lovely views around. 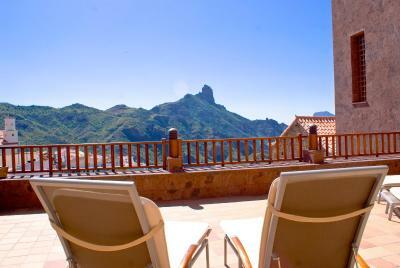 Good location Fabulous views Friendly staff Like others we stayed here because the Parador was closed due to fire damage. With the benefit of hindsight this was probably the better option, if like us you prefer to eat out and drink in a bar other than the hotel one is staying in. Although only approx 4 miles away, we would not have wanted to drive the very windy narrow roads at night. the weather was significant;y better too, being further down the hill. Eva, who welcomed us, was charming, warm and friendly. We had a nice room adjacent to the terrace (sadly no sun while we were there). Appreciated the bath after a days’ walking. The hotel’s sister restaurant (about 200m away) was very good. 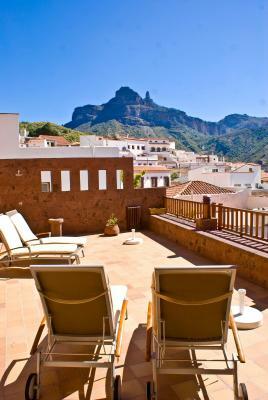 A lovely view from the large shared terrace in front of the room. Well located for exploring the area. Nice village. Am Zeiten Tag hat uns die Reinigungskraft die Terasse gezeigt. Unübertroffene Lage des Hotels . Sonnenterrasse mit tollem ausblick.sehr freundliches Personal.sehr sauber! 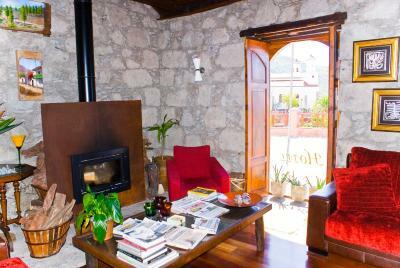 Hotel Rural Fonda de la Tea This rating is a reflection of how the property compares to the industry standard when it comes to price, facilities and services available. It's based on a self-evaluation by the property. Use this rating to help choose your stay! 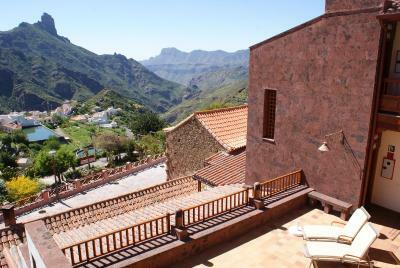 This old inn house from the 19th century boasts great views of Tejeda and its landscape, the Biosphere Reserve of Gran Canaria. 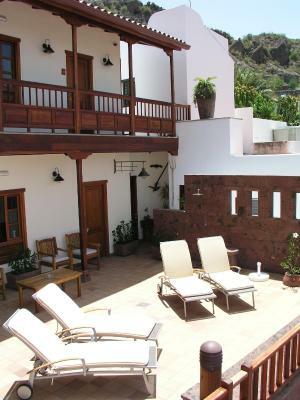 After a long period of renovation this has been converted into a spectacular rural hotel; a harmonious combination of traditional Canarian architectural elements and careful and tasteful decoration. 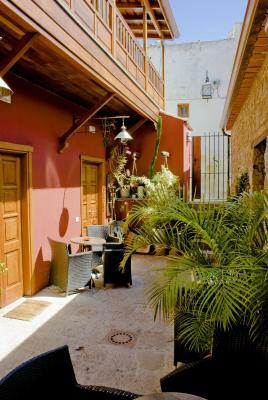 There is a traditional Canarian patio that preserves a flavor of the old, with water and shade that create serenity. 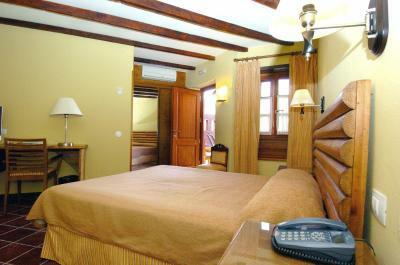 The rooms are comfortable, with the latest technologies installed and also views of the Cuenca de Tejeda. 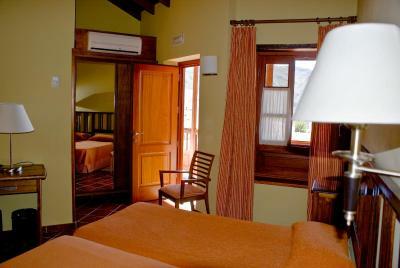 Tejeda is an ideal place for lovers of nature and cultural traditions; all this in a cozy and stylish hotel. This property also has one of the top-rated locations in Tejeda! Guests are happier about it compared to other properties in the area. 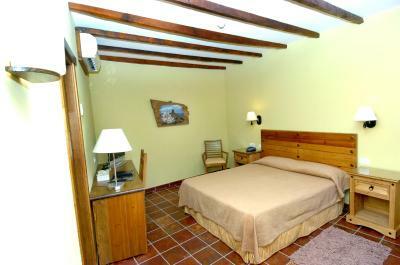 When would you like to stay at Hotel Rural Fonda de la Tea? This twin/double room has a balcony, DVD player and electric kettle. 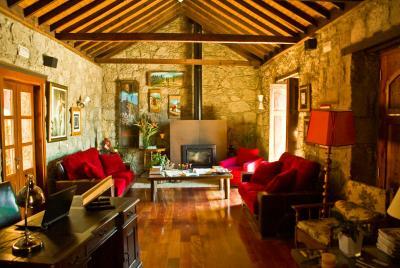 House Rules Hotel Rural Fonda de la Tea takes special requests – add in the next step! 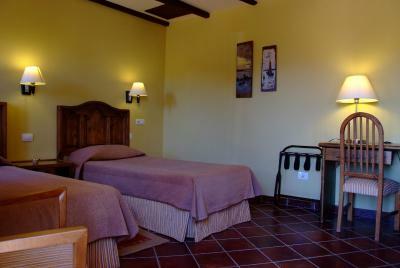 Hotel Rural Fonda de la Tea accepts these cards and reserves the right to temporarily hold an amount prior to arrival. Many of the restaurants / bars close in the evening but are open in the day time. We eat in the evening so our choice was a little limited. Some restaurants which open in the evening do not open every evening. Weather being unseasonably cold meant that we would have appreciated more space and more of a view from our room. There was a crackly plastic under-sheet on the beds which apart from being noisy felt a bit institutional. Plastic mattress protector. Bathroom drains very smelly. Poor wifi in bed room. No kettle in room. Very few english TV channels, no BBC! Car parking was a bit tricky. It would have been good to have bottled water provided in the room. 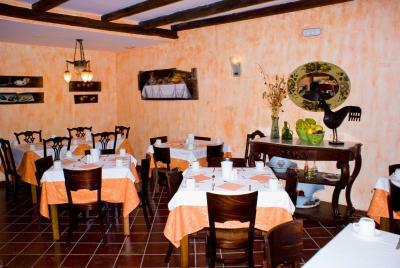 Very quiet in the evenings though there are a number of restaurants to choose from.